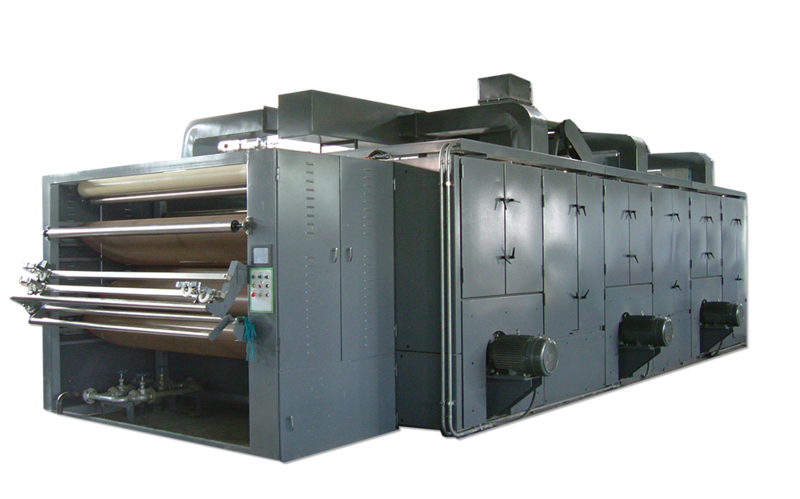 The Master-Nit Relax Conveyor Dryer for tubular and open-width fabrics is the right size for the right job. The Master-Nit Dryer is a true 3 active pass dryer and carries the fabric without tension between two belts on each pass through the dryer. Each pass is active, meaning that the fabric is exposed to a consistent airflow across the full width during every pass. The Master-Nit provides a tremendous amount of flexibility with respect to it’s overfeed capabilities. Overfeed from the entry to the first pass can be adjusted while the machine is in operation. Additional overfeed can be set up between each pass to so that both shrinkage and drying efficiency can be maximized. Depending on configuration, the Master-Nit Dryer attains production levels of 3 to 20 tons per day. 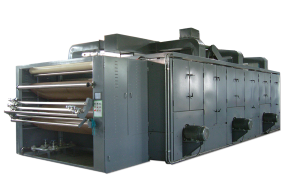 AC inverter circulation fans – allows reduction of air flow and electricity for lighter fabrics and reduced energy consumption. The Ultra-Nit Advanced Nozzle arrangement permits the fabric to bulk and the knitted loop to relax, producing finished fabrics with better hand, more weight and increased stitches. 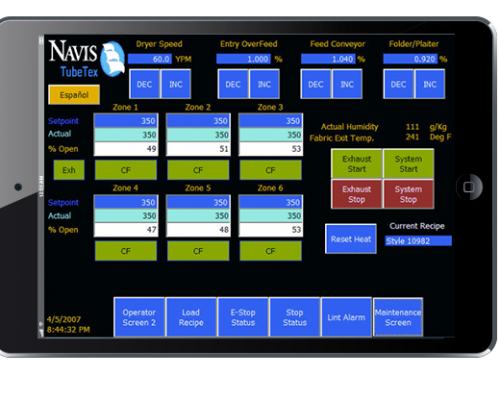 All Navis TubeTex dryers have advanced nozzle, airflow and thermal properties designed to optimize residual shrinkage values, eliminating the need for high-energy-cost shaking or steaming attachments. The Ultra-Nit Dryer is a true three active pass dryer and carries the fabric without tension between two belts on each pass through the dryer. Each pass is active, meaning that the fabric is exposed to a consistent airflow across the full width during every pass. The Ultra-Nit provides for a tremendous amount of flexibility with respect to it’s overfeed capabilities. Overfeed from the entry to the first pass can be adjusted while the machine is in operation. Additional overfeed can be set up between each pass to so that both shrinkage and drying efficiency can be maximized. Depending on configuration, the Ultra-Nit Dryer attains production levels of 10 to 50 tons per day.